Recently I wrote a post suggesting that Marriott / SPG members book a Marriott Rewards Travel Package sooner rather than later. You can revisit that post by clicking here. It turns out that I was right. Although… don’t panic! It appears that the changes won’t be implemented until August. The most obvious devaluation is for those airlines where you currently receive 120,000 miles. This list includes InsideFlyer favourite Alaska Airlines Mileage Plan, along with Avios, Virgin Atlantic Flying Club, American Airlines AAdvantage, etc. Under the new Travel Package system, you will only receive 100,000 miles. On the flip side, airlines that currently offer 85,000 miles will increase to 100,000 miles. This includes options such as All Nippon Airways, Turkish Airlines, etc. As before, any option other than the maximum mile option appears to be a sub-optimal use of your Marriott points. Currently, you pay 270,000 Marriott points for the entry level Travel Package. Once the changes are implemented, you will pay 330,000 Marriott points. The standard of hotels should be similar (but you are also receiving fewer miles). 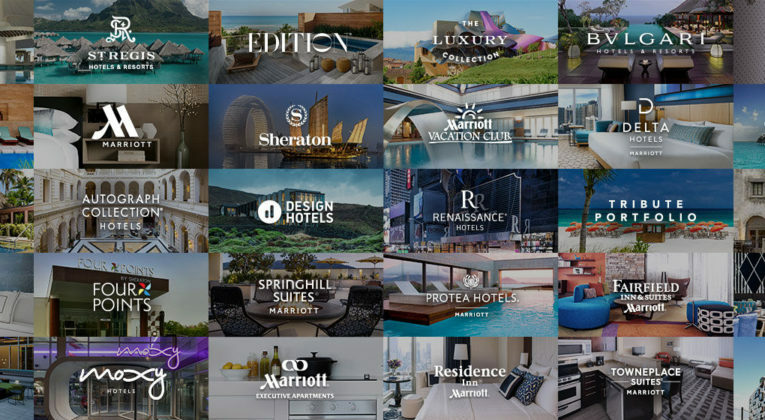 There is no perfect correlation between the new and old award categories, but most of the best non-Ritz Carlton hotels (i.e. JW Marriott, Renaissance, etc.) were in the old Category 9 and are likely to be allocated to the new Category 7. That Travel Package cost 390,000 Marriott points. Once the changes are implemented, you will pay 570,000 points. Ouch! Is There Any Good News Mixed in There? Not much… If you are interested in some of the more exotic airline options, you will receive more miles than previously. We also don’t know whether existing 7-night certificates will be converted into their equivalent under the new system, or whether we will receive a full or partial refund of points. So stay tuned… and if you were thinking about booking a Travel Package, I suggest that you order one sooner rather than later. As I dont see any offers of bonus coming up in next one month (before August), similar to 35% bonus we had in March. You are definitely better off ordering a travel package today as Marriott could decide to pull the current version at any time. Conversion bonuses are hard to predict, and often exclude travel packages anyhow. I’ll be buying a couple of cat 5 120000 mile travel packages. I was always planning to go for Alaska miles but I’m a bit nervous about putting everything with AS. Obviously they have some incredible redemptions but there’s no gurantee that they will be around when I come to redeem. JL and CX in F and J are such outrageously good deals, I wonder is they will go the same way as Milage Plan redemptions on EK. I hadn’t thought about the Iberia offer affecting Alaska redemptions on Cathay (and JL) but it could be an issue. Hopefully, since many of the people who jumped on the offer are US based, a lot of the Avios will be used on AA domestic flights. I was thinking about using my Avios from the promotion for an IB flight down to JNB in J and then use a Milage Plan CX redemption in J and F to take me from CPT to HKG to JFK. That would be pretty sweet. Did you see the comment on HFP today regarding travel packages bought before August? The poster bought a package and asked the Marriott rep what would happen to it under the new regime. He was he would be able to use it for the same catagories, ie his 1-5 could be used at the new 1-5 catagories. That would be pretty generous but he pushed further and asked about higher catagories and was told the same applied! He was told an old cat 8 TP could be use against a new cat 8 property. An old cat 9 would become a new cat 8 however. I have my doubts but if it’s true, there could well be a feeding frenzy on the old TPs before August which may result in them being withdrawn before then. What do you think? Is it remotely possible? Seven nights at the St Regis Maldives would be tempting with a cat 7 or 8 Travel Package…. Thanks for that Andrew – I hadn’t seen it. Definitely interesting, but as you say, with these sort of things it’s usually best to take the comments of customer service agents with a bucket of salt. It’s human nature to want to answer questions rather than saying “I don’t know”, so agents (understandably) sometimes say things that they think make sense, rather than confirmed official policy. That said, it wouldn’t necessarily be a huge surprise to see Marriott adopt a generous policy like that – they’ve been pretty generous re the transition in most regards so far. So – fingers crossed, but I won’t believe anything until it’s officially confirmed (and even then misunderstandings can happen…). PS. That sounds like an awesome route to me! – I’ve been considering doing the same. Upon further reflection, I’m not sure what the downside would be to booking a Category 7 or 8 Travel Package today. Worst case is you get some points back (100K +/-) if certificates are cancelled. Better case is you get 7 nights worth of points refunded (40K times 6 = 240K) or you get a Cat 5 or 6 certificate. Best case is your certificates map across to the new award chart as 7 or 8s. But I agree with Joe… often agents just make something up when they don’t want to do something difficult or they don’t want to tell a customer “I don’t know”. I just bought myself two tickets in the Travel Package lottery. 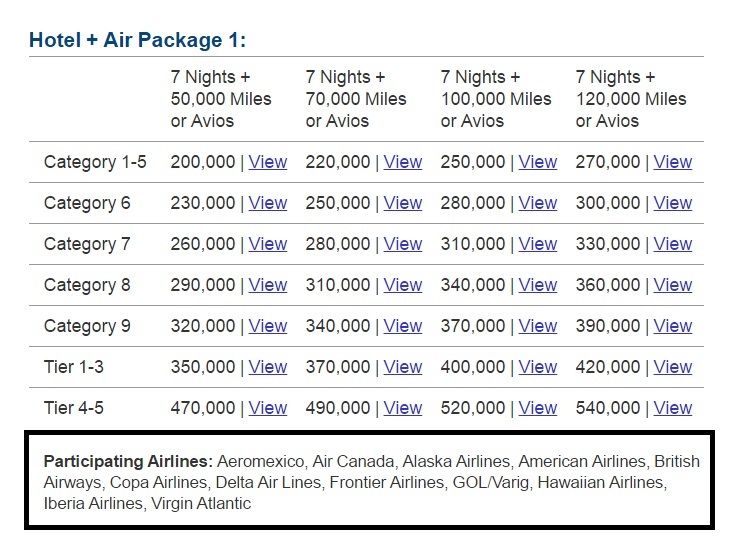 One cat 1-5 and one cat 7 and both for 120,000 Alaska miles. Both of them are five night packages since the agent offered them to me without being prompted. I was expecting to have to buy a 7 night package so I didn’t really get a chance to crunch the numbers. This was definitely a situation where you don’t want to HUACA! Perhaps I should have gone for a cat 1-5 and a cat 8. I can always upgrade before August if it looks to be beneficial. The agent again said the the packages would be redeemable at cat 1-5 and cat 7 hotels after August. Perhaps she meant equivalent hotels but that’s not what she said, she quoted the actual category numbers that the vouchers would be valid to spend on after August. One to one mapping does seem unlikely but you never know…. Dream scenario!! I’ve never been offered the 5-night package before… Fingers crossed on the direct mapping across. That would be even better than a full point refund since there will be no shortage of new Category 5s worthy of a week’s getaway! I read somewhere that there are lots of ex SPG agents taking Marriott calls now so perhaps they aren’t fully up to speed on the 5/7 night TP rules. I did some research on how easy it would be to get a 5 night package but dismissed the idea as I wasn’t prepared keep calling back for the (supposedly unlikely) chance of someone being prepared to sell me one. I couldn’t believe it when the first thing the agent said was – Do you want a 5 or 7 night package?! An 8 would (in theory) give me the option of booking after December, when the rush has died down for the high end properties. It’s all speculation though and my cat 7 probably won’t be valid at the current high cat properties anyway. Entirely possible… SPG’s Nights & Flights is for five night stays so an SPG agent might be more familiar with that. How much did a 5 night package cost btw? You could get friends (or family members who don’t live with you) to buy Starpoints, transfer them across to Marriott and then have them call Marriott to transfer them to you that way. 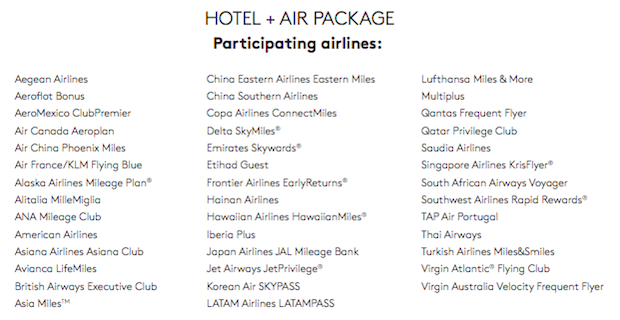 Max transfer is 50,000 Marriott Points (unless redeeming for a specific award, which might include the packages? If not, could always book something and cancel it) and there’s a nominal $10usd transfer fee, though that doesn’t always get charged even if you don’t have status. I went for Alaska miles last time but I’m tempted to stock up on some United if I can stretch to another Travel Package. I forgot about the possibility of transferring Marriott points so that might be a possibility. I’m not very keen to pay $625 for 50,000 Marriott points though. I’d need around 100,000 in total to get me another Travel Package. It doesn’t feel like a good deal to me. Do you think it makes sense? Buying SPG points would be cheaper but it’s probably not possible with the 30 day limitation on new accounts. I’m not sure Marriott’s regular price makes any sense. I think I’ve got to start spending more of my hotel points on hotel stays, rather than chasing more points to spend on “great deals” that I might not really need.